This scene from Dinotopia: The World Beneath (1995) shows a tyrannosaur and a couple of allosaurs attacking a Dinotopian walking machine called a strutter. 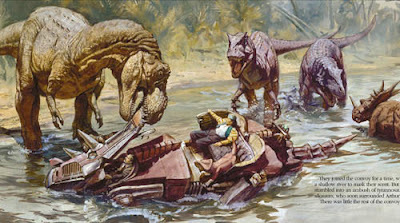 In Dinotopia it's dangerous to cross through the jungle in the center of the island, which is ruled by large theropods. The scene takes place as the strutter crosses a shallow stream. The tyrannosaur is using its powerful foot to pin down the head of the strutter, and is biting off the top of the frill. For a scene like this, I used existing dinosaur models for lighting reference. Trying to guess where those shadows would fall without a maquette would be rather difficult. The color scheme is limited to yellow ochre, dull red-violets and dull blue-greens. I tried hard to keep bright blue out of the scene. 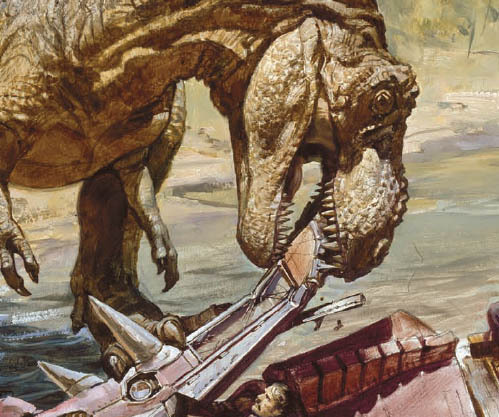 The painting is done in oil fairly transparently on the dinosaur, with a little more opacity in the background. this is why YOU IS THE MAN. 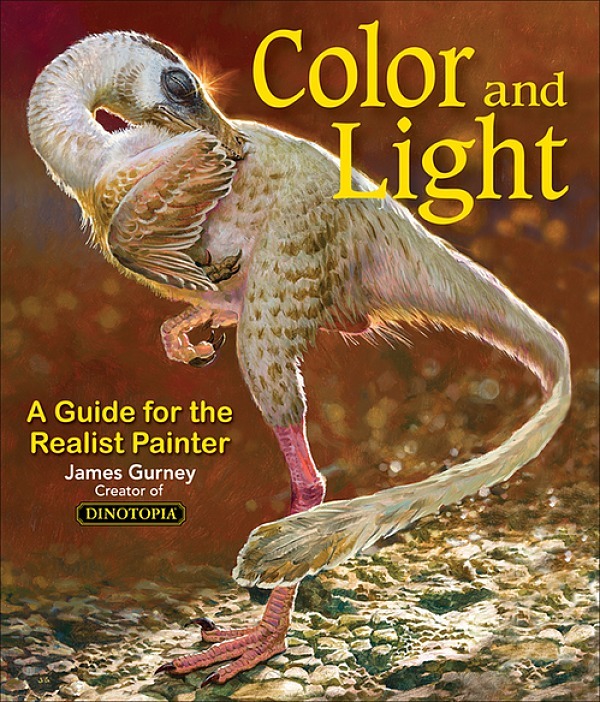 The world beneath was my favourite Dinotopia book when I was younger. I think I managed to love it to death actually, this reminds me that I should buy a new copy. Thanks so much for sharing! I always loved seeing T-Rexes cause mayhem on the Dinotopians. It's a little hokey, but pretty interesting nonetheless. A mini-cooper isn't the same as a strutter though - I'm guessing the strutters were made better. 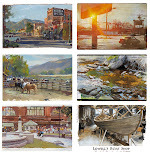 Thanks for keeping a great blog! Looking back on this having seen this is fascinating.